Description: On this great show we learn more about the great new things happening with our own Wasaga Beach Chamber of Commerce! Ehab Masad, President of Wasaga Beach Chamber of Commerce and Board of Director, Jason Ruttan are Dianna's guests. BEACH CORNER is broadcast every Tuesday & Thursday at 5:00 & 7:00 pm on Beach BOOSTER Radio. Wasaga Beach's truly LOCAL radio! Beach BOOSTER Photo: Ehab Masad and Jason Ruttan with Dianna in the Beach BOOSTER office/studio. On this great show we learn more about the great new things happening with our own Wasaga Beach Chamber of Commerce! 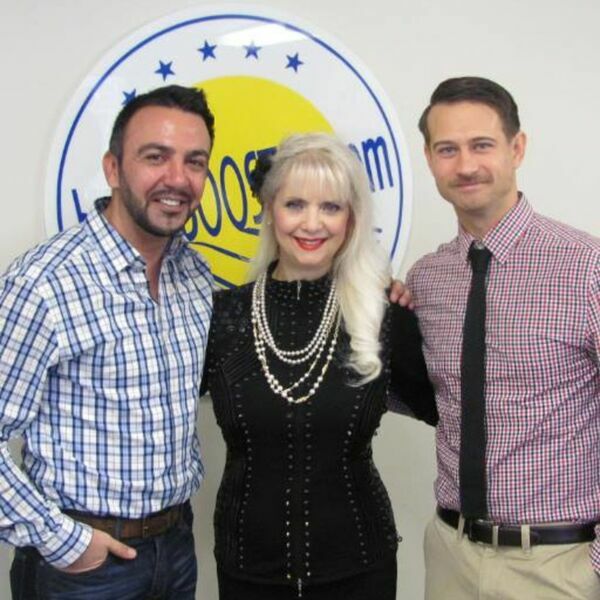 Ehab Masad, President of Wasaga Beach Chamber of Commerce and Board of Director, Jason Ruttan are Dianna's guests. BEACH CORNER is broadcast every Tuesday & Thursday at 5:00 & 7:00 pm on Beach BOOSTER Radio. Wasaga Beach's truly LOCAL radio! Beach BOOSTER Photo: Ehab Masad and Jason Ruttan with Dianna in the Beach BOOSTER office/studio.